As an eleven-year-old (EYO) Scout leader, your Scouts will reach that point where you will send them to their first and second boards of review (BOR) for advancement. The Scout will have completed his requirements for Tenderfoot Scout or Second Class Scout. 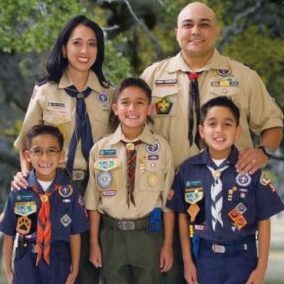 You will have conducted your Scoutmaster conference, checked and initialed his Boy Scout Handbook, and informed the Scout he is ready for his BOR for advancement to the next rank. You will have notified the committee chairman or the advancement chairman, and a date will have been set. 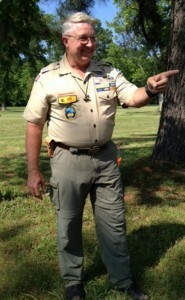 For many years I just turned the young Scout over to the BOR and let them conduct the review. I was missing something very important. I had not properly prepared the BOR to meet the Scout! You see, the BOR is not there to test the Scout. You–the EYO Scout leader—have already certified that the Scout has met the criteria for his rank advancement on each requirement and so initialed in his Scout Handbook. The BOR is just that: a time to review what the Scout has experienced. The BOR assists the Scout in talking. Talking about what? Anything and everything. It is all fair game. The BOR is there to help the Scout solidify in his mind the Scouting trail he is on, and what it might mean for him and how that relates to his life. It is an opportunity to bring out the best in a young man, to help him see who he is, and to feel good about himself and what he has accomplished. When I realized my key role in the BOR, I began to take more time truly getting to know each of my Scouts. Who they were. What were their weaknesses? What were their strengths? How could I use the BOR to magnify their strengths and accomplishments, assisting them in overcoming any weaknesses? For example, I recall a shy Scout, who had asked to be the EYO Scout patrol historian. His eyes glowed when he had asked me if he could do this. I was not sure he was up to the job, but saw that the challenge was the road HE wanted to go down. Months later, I told the BOR to first ask him how it was going, being the historian. I watched as he lit up and discussed how he had come with a camera photographing the activities of the patrol. He said, “Wait, let me go get my photo journal. It is just outside.” He spent the next 15 minutes telling stories about each of his fellow Scouts, where they went, and what they were doing. His shyness faded into his enthusiasm for capturing the moments in his life and the lives of his fellow Scouts. The BOR asked no further questions and went to deliberation. He had Scout spirit. He was showing citizenship. He was showing personal development. He was serving others. HE PASSED! Now that was a great board of review. It was personal. You could see that the Scout’s life was in tune with the mission and vision of Scouting. He was meeting the purposes of the Primary. The BOR had achieved what it was supposed to achieve. It got the Scout to TALK about his experiences in life through Scouting. I’ll share one more BOR story of when I was a committee chairman. I was on the West Coast and had a boy show up in his swim suit, a tee shirt, and sandals for his BOR. I had been this boy’s EYO Scout leader. We welcomed him in. I started the conversation on how his surfing was going, then I had him talk about the fun he was having with his quorum friends and how he liked the difference in how they acted. This led to a discussion about how having standards was important. After his concurrence I asked him if he did his best in meeting the standard of how one should appear at a BOR. He told me that his Scout shirt did not fit anymore and that this review was important to him, because he really wanted to be a Star Scout. I told him, “All we ask in Scouting is you set a good standard and do your best.” Eight months later, at his Life Scout BOR, he arrived in suit and tie; his Scout shirt still did not fit, but he was ready to meet a standard. The BOR follows the Scout process. It allows the Scout to make moral and ethical decisions. My Scout knew the standard. He knew what I expected. I needed to let him wrestle with how to do that. Thus, the BOR became part of the process of ethical decision-making. At that Life Scout BOR the conversation began with how he dressed. He told us that he wanted to set a good standard for us. BANG! HE PASSED. He had moved from a surfer, beach image, to that of a responsible young man. He had made ethical decisions as a Scout to do his best. He had made a choice. What is key is to see that problem areas are opportunities—not opportunities to tell the Scout what not to do, but an opportunity to start the conversation on ways to be. -Stan Stolpe has served in multiple Scouting positions at the unit, district, council, regional, and national levels in the U.S. and overseas. His current positions include district roundtable commissioner and district Cub Scout training chairman. He resides in Alexandria, Virginia, serving in the Mount Vernon Virginia Stake. The views and opinions expressed in this message are solely those of the author.